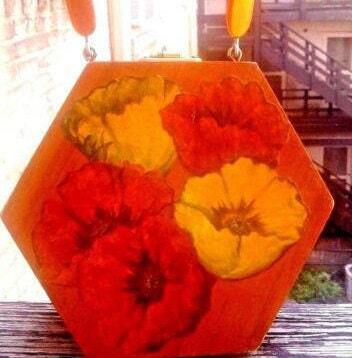 "Autumn Blossom" hexagonal wooden box purse with yellow and orange decoupaged flowers. Blossom decoupage on both sides. Amber Lucite handle with twist style and 4.5 inch drop. 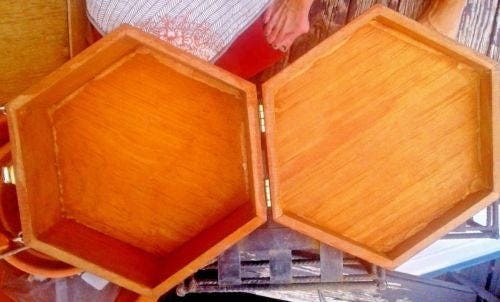 Amber stained wooden box. 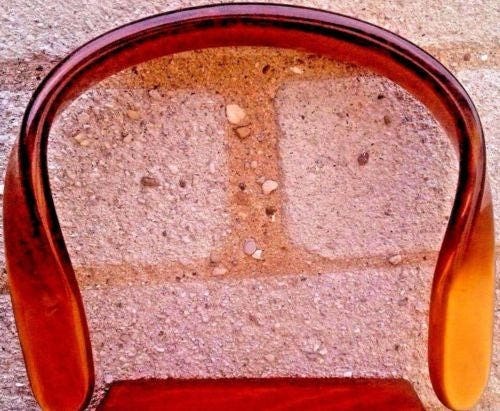 Great shape with only a few wear marks on edges. 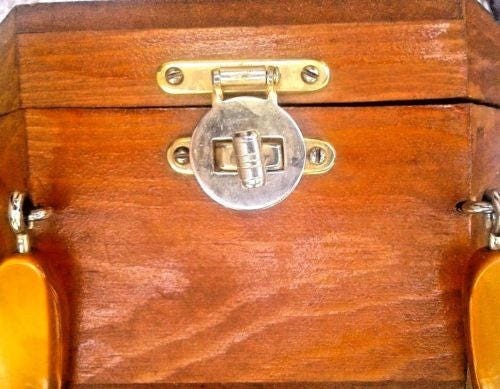 Gold tone key hole closure and hinges. Interior is roomy and unlined. 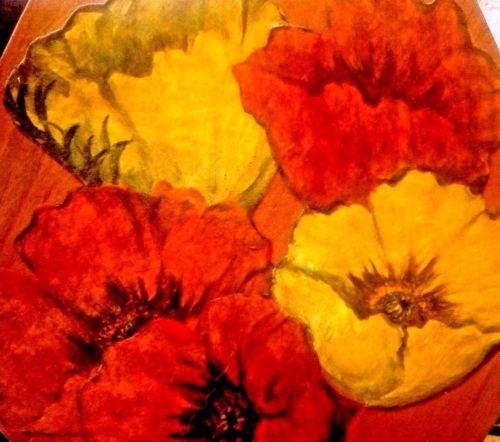 Dimensions: 7.5 inches wide x 7.25 inches tall x 3 inches wide.